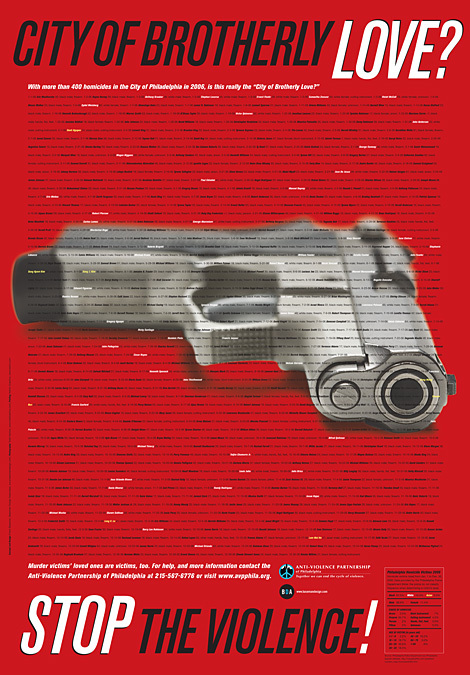 Public awareness campaign as a plea to stop the violence in Philadelphia. Are we really the City of Brotherly Love? 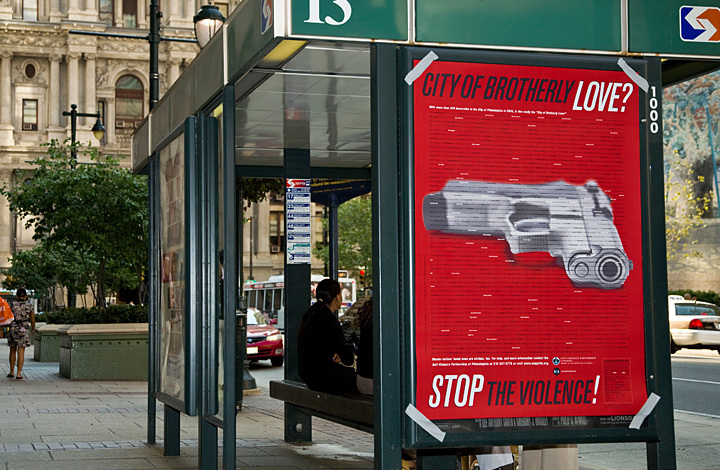 The poster was eventually rejected by the City of Philadelphia (temporarily installed at bus shelter with duct tape; photography by Todd Vachon). Read the article and post a comment.